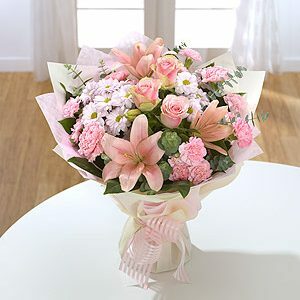 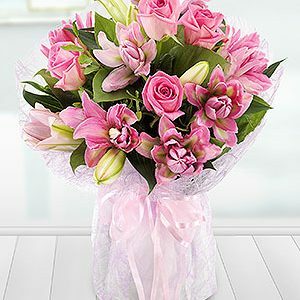 Aqua Pack hand-tied Bouquet delivered in water for freshness. 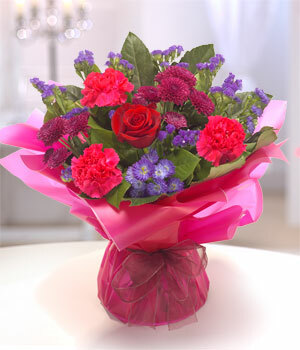 Passionate, rich colours of red, purple and cerise. 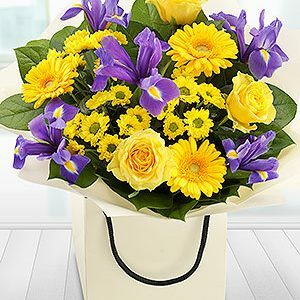 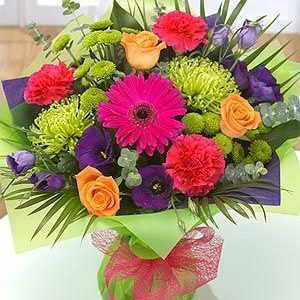 Containing a red Rose, Carnations, Chrysanthemums, Monte Casino and purple Statice.